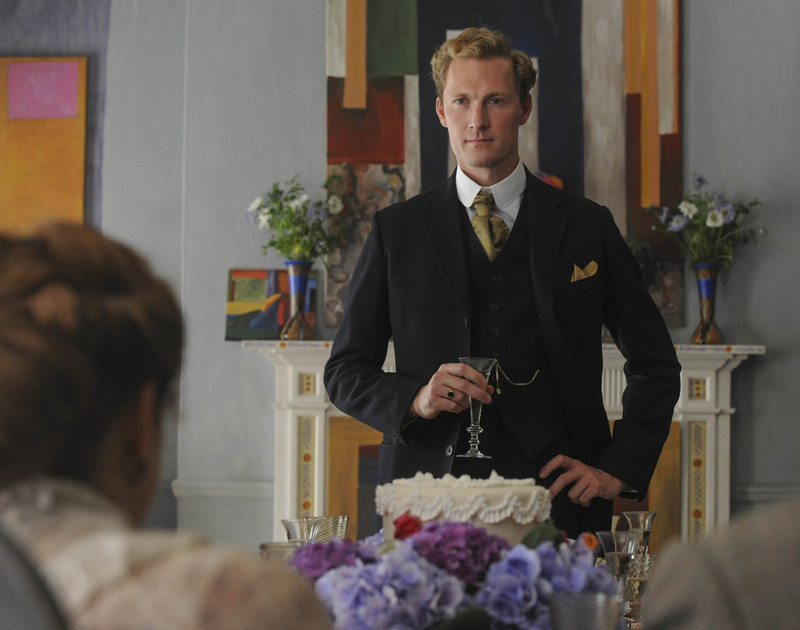 The BBC have today released promotional pictures for the second episode of Life in Squares. 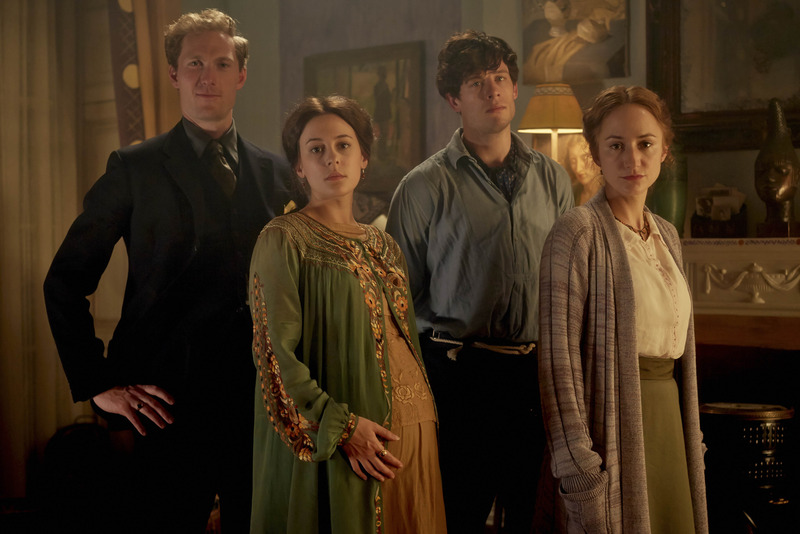 Based on the lives of the Bloomsbury Group , particularly sisters Virginia Woolf and Vanessa Bell, the series charts the group from their creation in the late nineteenth century to later on in their lives, following the Second World War. 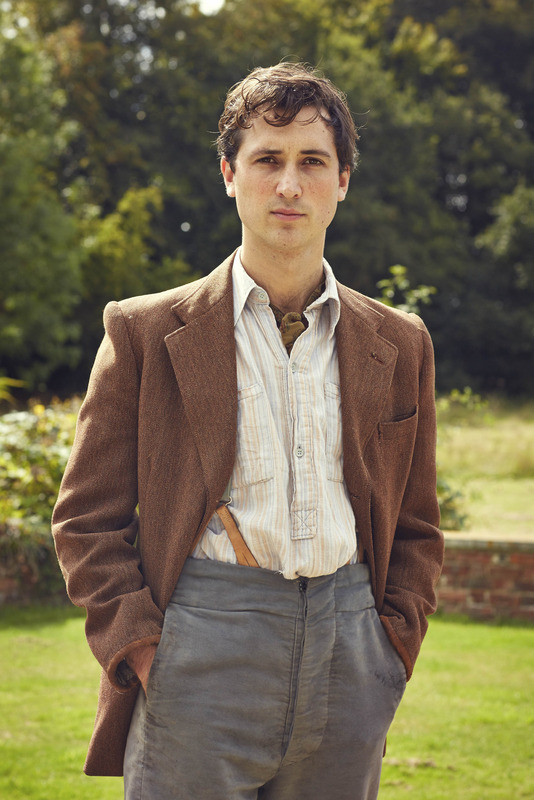 Written by Amanda Coe the drama stars Phoebe Fox as Vanessa Bell; Lydia Leonard as Virginia Woolf; James Norton as Duncan Grant; Sam Hoare as Clive Bell; Al Weaver as Leonard Woolf and Ben Lloyd-Hughes as David ‘Bunny’ Garnett. More promotional pictures and the episode synopsis below. The episode will be broadcast on BBC One on the 3rd of August from 9:00pm to 10:0pm. 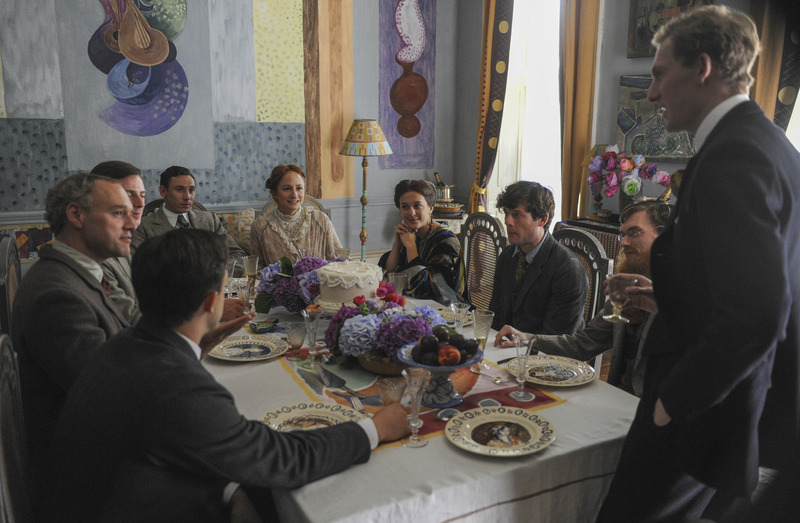 Episode two starts with the celebration of Virginia’s marriage to Leonard Woolf. Now with two young children, Vanessa and Clive have also found contentment in their unconventional approach to marriage. 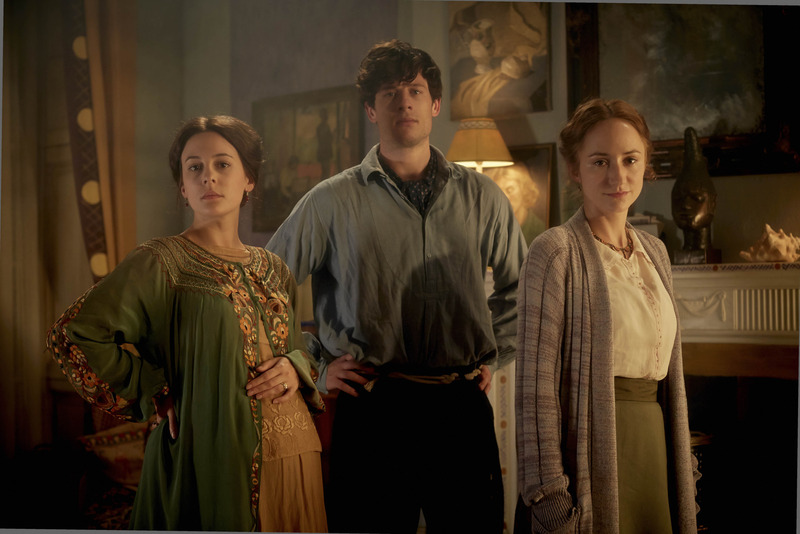 But when the outbreak of World War I looms, Vanessa decides to move to their country farmhouse Charleston with her children and Duncan. When she develops strong feelings for Duncan, Vanessa is left conflicted – particularly when Duncan invites his lover, David ‘Bunny’ Garnett (Jack Davenport), to stay at Charleston with them. Meanwhile Virginia’s health takes a turn for the worse and she overdoses on her medication, putting her marriage under strain. 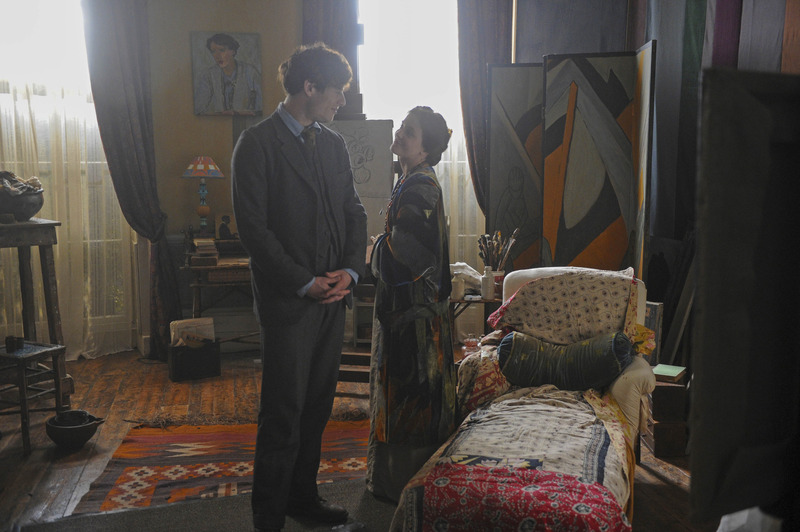 Will their fondness for each other be able to keep Leonard and Virginia’s marriage together? 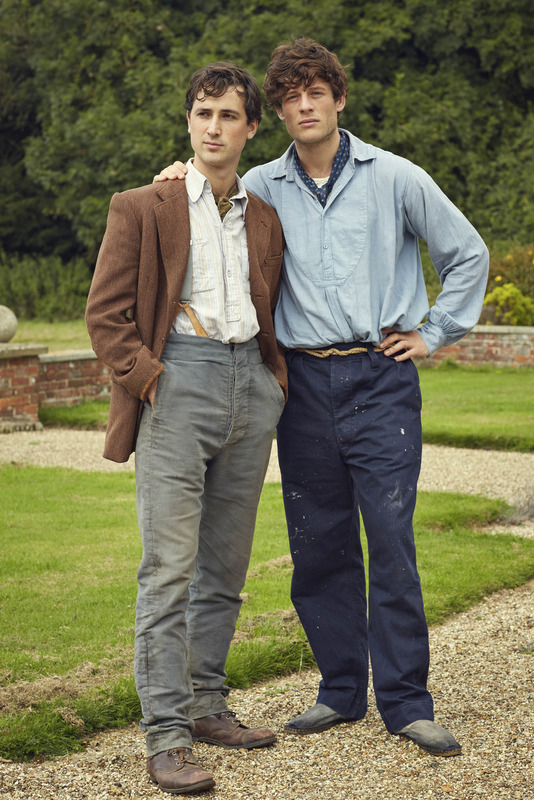 Penned by Bafta award-winning writer, Amanda Coe (Room At The Top), Life in Squares dramatises the close yet often fraught relationship between painter Vanessa Bell and her sister Virginia Woolf, alongside Vanessa’s complicated alliance with gay artist Duncan Grant. With thanks to BBC Media and BBC Pictures.